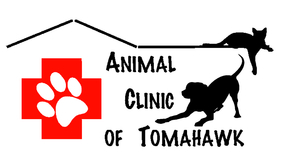 Here you can find some helpful resources recommended by the Animal Clinic of Tomahawk. Whether in need of a trainer, a service, or some other assistance, you may find your answer here! Located in Mosinee, Wisconsin, PHN serves all of central Wisconsin in their after-hour veterinary emergency needs. Is it difficult to medicate your pet? Call Universal Compounders to see if they can help you make it a little more easy and delicious! This organization is dedicated to providing food for pets in need and education for pet owners about proper pet care and necessities. Stacy at Stacy's Pet Salon offers a variety of services to dogs, cats, and other pets! If your pet is in need of a bath, haircut, nail trim, or other grooming service, call Stacy today to make an appointment!